Hiring an interior designer is a great way to create a chic, stylish home that matches your families’ personality and unique needs. You won’t need to worry about shopping for new pieces to complete a look and worry that it will look out of place. Because don’t we all? Decorating can be fun. But creating a cohesive look isn’t easy and it’s certainly not everyone’s talent. How many times have you brought a new piece of decor home only to realize there’ something about that just isn’t quite right? Hiring an interior designer is a great way to skip past awkward trial and error growing pains in a room you love. Know your budget. You will need not only need to plan for your designers time and expertise but also for the decor they have chosen for you. You’ll also want to know how they source their furniture selections. Aka are they choosing pricey one of a kind custom pieces? Know what your preferred designers pay structure is and if you’ll need to invest upfront or make payments throughout your time together. What services are you expecting to receive? Not all designers work in the same way or offer the same services. And not everyone expects the same services either! Decide if you would like a consultation, design concepts drawn up or for them to manage the project from beginning to end. Think of it this way - how much time do you want to personally spend on this project? Take time going over different designer’s portfolios to get a feel for their style. You should work with a designer whose style jives with your own. So with that said, you should have a good idea of your own style and that of your household. You might be fine with mid-century modern furniture, but maybe your partner can’t stand it. Have a Pinterest board of your inspiration ready to share with your designer. Even if you don’t see a cohesive theme across your board, a designer will. Which is why you are hiring them! While it is possible to be all over the place, if you the pins you’ve chosen intuitively feel good together you are probably on to something! Communicate openly about what current pieces in your home are important to you. What has to stay, no question? And what are you willing to part ways with? This is really important to know ahead of time. You don’t want to realize your favorite piece is missing from the blueprint while your designer is presenting it. Instead, be upfront about it and your designer can work the whole room around that item. 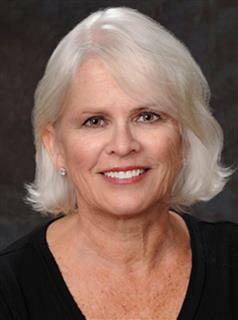 Kim Ellis has been a Naples resident since 1975 and has been licensed to sell Real Estate in Florida since 1990. She obtained her Broker’s License in 2000 and holds her GRI (Graduate Realtors Institute), ABR (Accredited Buyer’s Representative) and e-Pro designations. Kim has been an active volunteer with Collier County Public Schools for many years and was the coach for the Palmetto Ridge High School Girl’s Lacrosse team for their inaugural season. When Kim isn’t at work she and her husband Bob will be found enjoying their time with their large family which all reside here in Naples. Kim has been a multi-million dollar producer with John R Wood since October of 2000 and specializes in Single Family Home sales. If you have a home to sell or wish to buy one Kim has vast knowledge of the local market and can surely help. Give her a call today and you won’t be disappointed. The data relating to real estate for sale displayed on this Website comes in part from the Broker Reciprocity Program (BR Program) of M.L.S. of Naples, Inc., under License No. 249511436. Properties listed with brokerage firms other than John R. Wood Properties are marked with the “BR House” logo. Detailed information about such properties includes the name of the brokerage firm with which the seller has listed the property. The properties displayed may not be all the properties listed with brokerage firms participating in the M.L.S. of Naples, Inc. BR Program, or contained in the database compilation of the M.L.S. of Naples, Inc.